Rics Equipment & Supplies Ltd.
RICS Equipment & Supplies was established in 1988 by David Peters, servicing the needs of its clients in Atlantic Canada. All Gearing applications are handled swiftly and supported with electric motors, variable speed devices, microprocessors, encoders, soft-starts as well as clutches, brakes, couplings and torque limiters. The latest technologies are utilized in our designs. 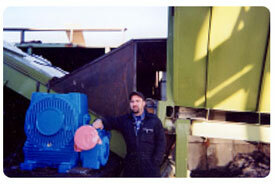 We replace outdated mechanical variable speed drives, Eddy Current drives, as well as specially assembled gearboxes. 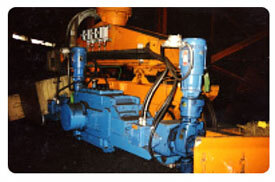 Over the years, our company has successfully replaced many obsolete gearboxes in pulp mills, mines, smelters, food processing and aggregate plants. We also service the peat moss, gypsum and lumber industries. We work closely with our suppliers to obtain both technical support and products to ensure minimum downtime for our existing clients. As a stocking distributor for, Danfoss Manufacturing, AC Technology, Lenze, and Linemaster, we can help eliminate any need for extended downtime, or long lead times, while not creating an overrun on cost due to rush assembly service an air freight charges. We assist in the design of material handling equipment such as belt, chain or bucket conveyors, pumps, air handling equipment, compressors, cranes, turbines, etc. Take the time to pick-up the phone and ask for Dave, or Jacynthe or e-mail or fax us and we will be happy to discuss the services we provide.